I watched the first part of the board meeting – no public comments at all about the high schools. Interesting. 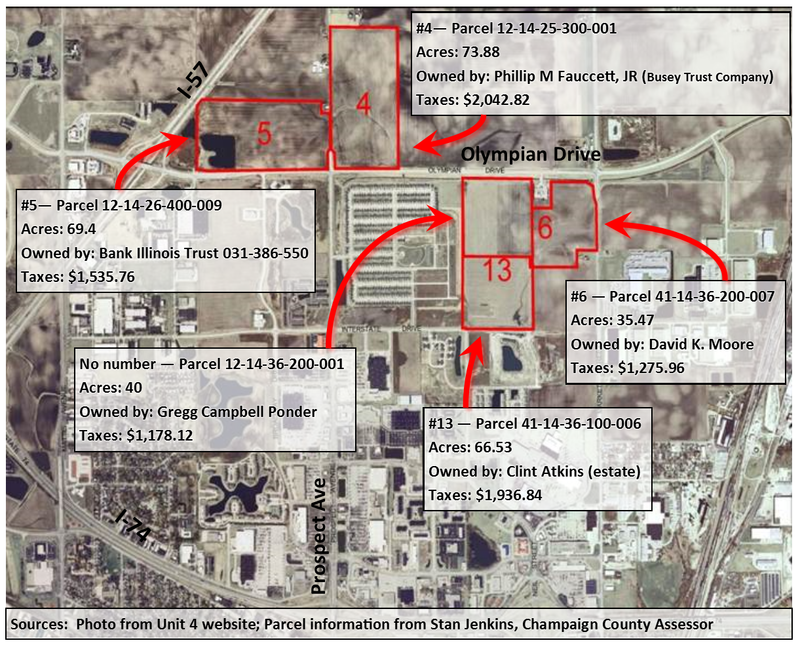 Interesting that the Board decided to purchase two sites, committing money that we do not yet have. Well….. this will be fun. There is going to be a war between those who want to expand and grow versus those who want to improve and make better what we already have. I have my own feelings, but I am still looking for numbers and hard research. Today I got to looking at the Champaign-Urbana Urbanized Area Transportation Study (CUUATS), and it turns out I work not 25 feet from one of the folks who put a lot of work into the most recent study (they are done every 5 years). They stress a lot of sustainability options + rail, vs what happens when growth takes a higher priority than maintenance. I intend to do a bit more reading in the near future. Only B and E have attachments (so far). The High School update includes the addition of a new site under consideration; “this site is Atkins Mattis Avenue, located in the northwest area of Champaign”. Hmm… anything to do with the MAC? =) Didn’t see that one coming, did we?